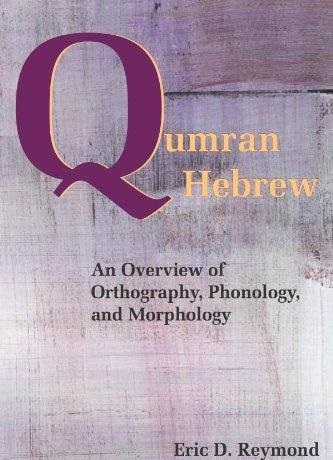 In Qumran Hebrew, Reymond examines the orthography, phonology, and morphology of the Dead Sea Scrolls. Short sections treat specific linguistic phenomena and present a synopsis and critique of previous research. Reymond's approach emphasizes problems posed by scribal errors and argues that guttural letters had not all weakened but instead were weak in specific linguistic environments, texts, or dialects. Reymond illustrates that certain phonetic shifts (such as the shift of yodh to aleph and the opposite shift of aleph to yodh) occur in discernible linguistic contexts that suggest this was a real phonetic phenomenon.